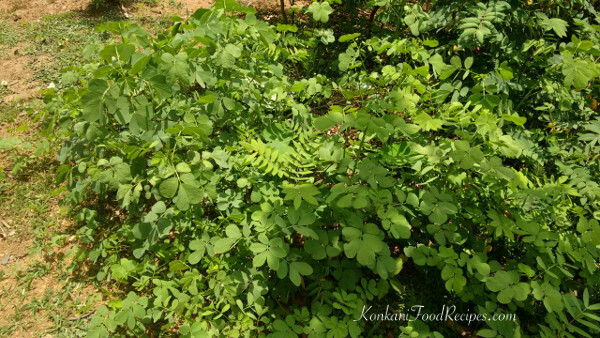 Cassia tora (scientific name), tora plants (common name), called as taikilo in Konkani, is a monsoon herb seen only during monsoon season. 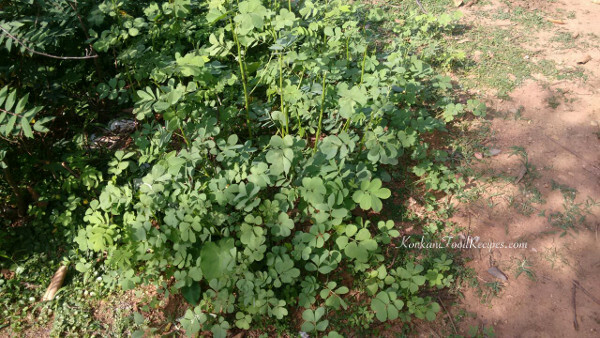 With onset of monsoon these herbs grow profusely like weeds everywhere. 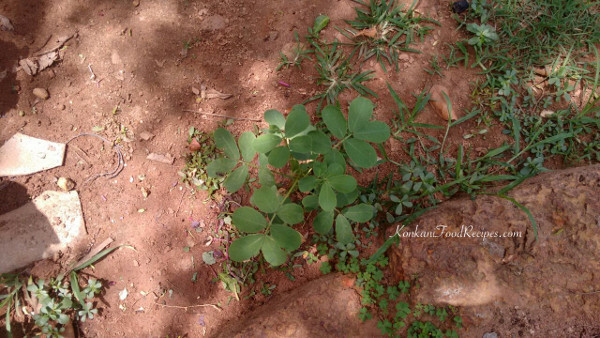 Tora leaves called as taikile pallo in konkani is used in various dishes of Konkani cuisine. The tender tora leaves are used to make taikile ambado (fritters), taikile chutney, taikile tambali (chutney with curds), taikile muddo (steamed dumplings), taikile sanna polo (spicy dosa). Only the top 2 tender leaflets of each branch of the tora plant should be used to prepare any of the taikilo dishes mentioned above. As the tora leaves mature they tend to get bitter. Taikile palle chutney is prepared for lunch and dinner as a side dish and is eaten with rice. 1. Heat a frying pan, add in oil, cumin, pepper and let them sizzle. 2. Once the cumin starts popping, add in slit green chillies and cut into 2-3 pieces and fry them for a minute. 3. Then add chopped taikilo/tora leaves, salt and little water just enough for the leaves to cook. 4. Cook closed until done, the tora leaves change colour once cooked. 5. Once all the water evaporates and the tora leaves are cooked through, add in grated coconut to it and saute for a minute. 6. Remove off heat and keep it aside to let it cool completely. 7. Once it's cooled, grind with tamarind into a smooth paste with just enough water to make a paste as we want the chutney dry. 8. Transfer it into a bowl and serve with rice as a side dish. 9. You can also dilute the chutney with half a cup of water and eat rice with it. 1. You can add dried red chillies instead of green chillies. Or use them together too. You then get a reddish tinge in the chutney just like in the picture above. 2. You can add more pepper and emit chillies completely too.